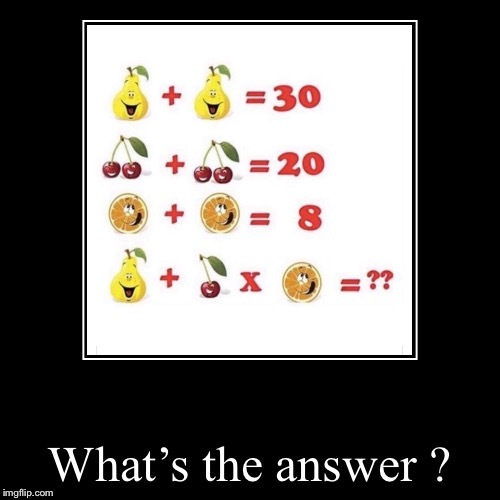 Can You Get The Answer? The key is going from 4 cherries to 1. Open your eyes, people! The answer is right there on the meme! It's ? ?